How to leverage ideation to design new products, services, and programs to address the strategic health issues your company has identified. 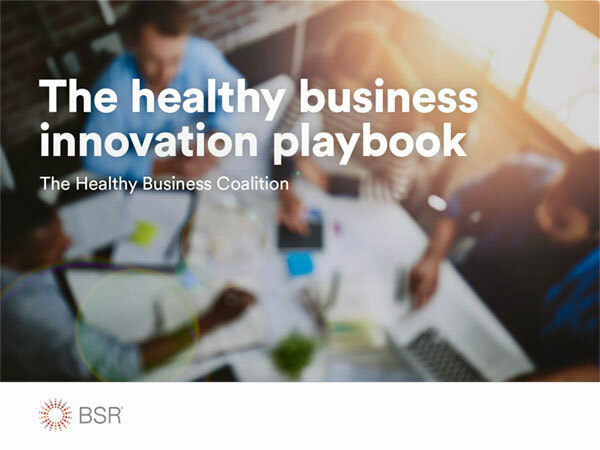 This playbook will help you assess the current state of and potential for healthy business innovation so that your company can turn challenges into actionable solutions. Why is this Playbook Needed? BSR is a global nonprofit organization that works with its network of more than 250 member companies and other partners to build a just and sustainable world. From its offices in Asia, Europe, and North America, BSR develops sustainable business strategies and solutions through consulting, research, and cross-sector collaboration. Visit www.bsr.org to learn more about BSR’s 25 years of leadership in sustainability.